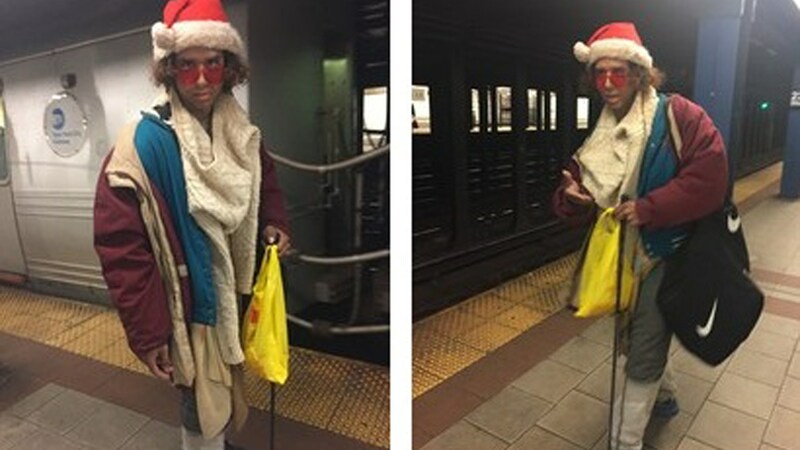 MIDTOWN, Manhattan (WABC) -- The NYPD has released photos of an oddly-dressed man who they believe is responsible for two separate groping incidents in a Manhattan subway station in early February. The first incident happened on February 8 inside the 23rd Street R and W train station on Fifth Avenue. Police say that between 7 p.m. and 7:30 p.m., the unidentified individual went up to a 32-year-old woman on the platform and proceeded to grab her buttocks. The woman then left the subway station while the man remained underground. He then supposedly approached a 34-year-old woman on a staircase leading to the street level and also grabbed her buttocks. She continued out of the subway station, with the unidentified man leaving soon after, reportedly walking away from the area on West 22nd Street. Both victims reported the incidents separately at later times.